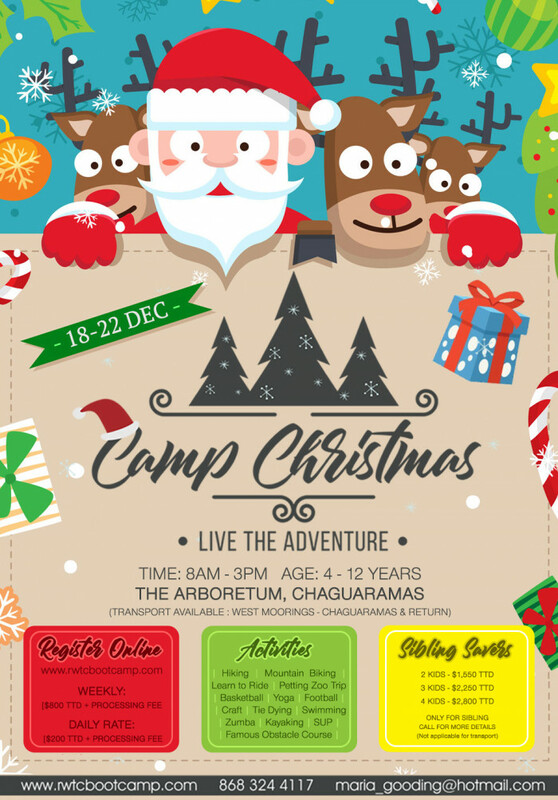 An exciting outdoor adventure camp, where kids can be kids! NOTE: All bikes must be in working condition. You must show proof that your child's bike has been serviced within the last month (November/December). We do not offer bike repairs at the camp. Book Early only (24) spots available. Persons MUST be on-time to catch the bus. This registration is US based and is non-refundable. The registration 'name' is however transferable to another once done 96 hours prior to camps' start. T-shirt size cannot be changed at this time. We are offering transport from West Moorings to Chaguaramas at 7:15AM-7:30AM and return 3:30PM-3:45PM for an additional $200 TTD / $29.54 USD for the week. *Prices rounded up* Book Early only (24) spots available. Persons MUST be on-time to catch the bus.